The primary Administrator must invite that person to join Complyfile. This is done by sending them an Email Invite, so that they complete your organisation's volunteer application form. See How do I send someone a volunteer application form? Now, when they've accepted the invitation and completed the application form, you'll get an email notification as the administrator to let you know this has been done. Next, you'll want to go and view their Volunteer Profile Page. 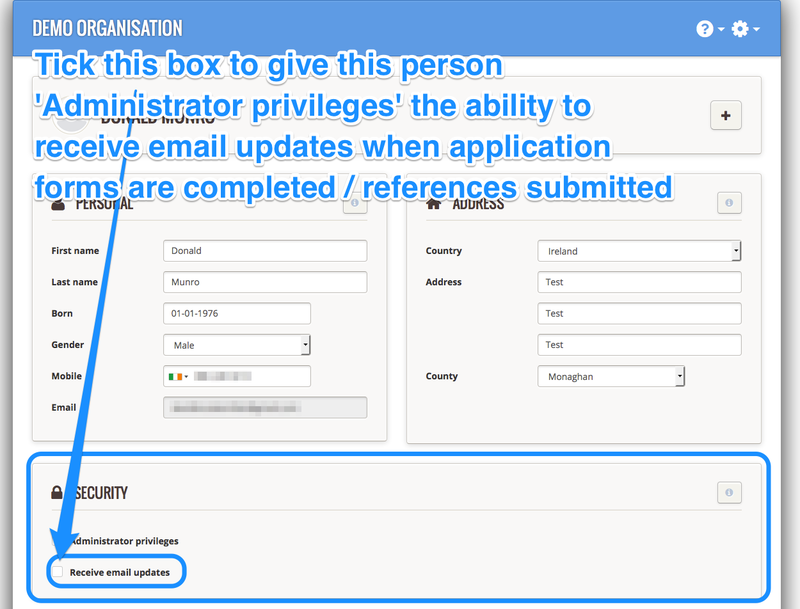 Click here for instructions on how to access a volunteer's profile page, which is where you need to go in order to give them secondary 'Administrator Privileges'. 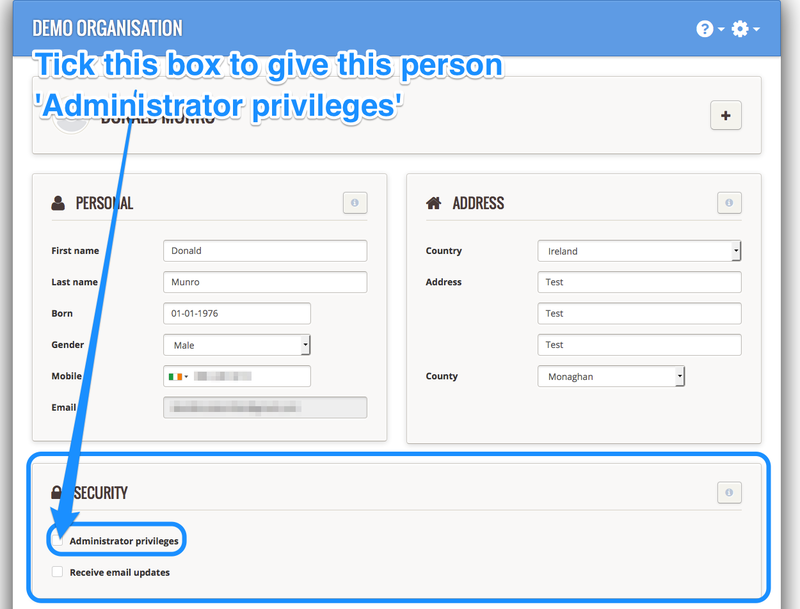 Once you're on the person's volunteer profile page, the primary Administrator ticks/checks the box below that says 'Administrator Privileges' to that person. When the box is ticked that person has Administrator Privileges. When the box is not ticked that person does not have Administrator Privileges. Administrator to receive email updates? If you want them to ALSO received the email updates, then you should also tick 'Receive email updates'. 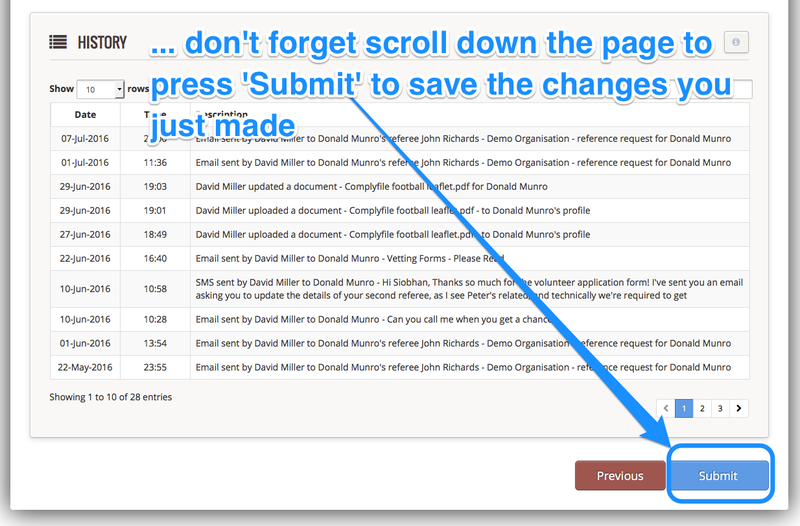 If you don't want them to receive email updates, leave it unchecked / unticked. What level of hosting facility certification do you have in place? How do I incorporate into my Complyfile the ability to record ID validation?